1906 was not going well for Captain Johnson. His previous vessel had been driven ashore on King Island and wrecked. Now he was commissioned to deliver an ageing paddle steamer across the wild waters of Bass Strait. The seven crew knew the risks. 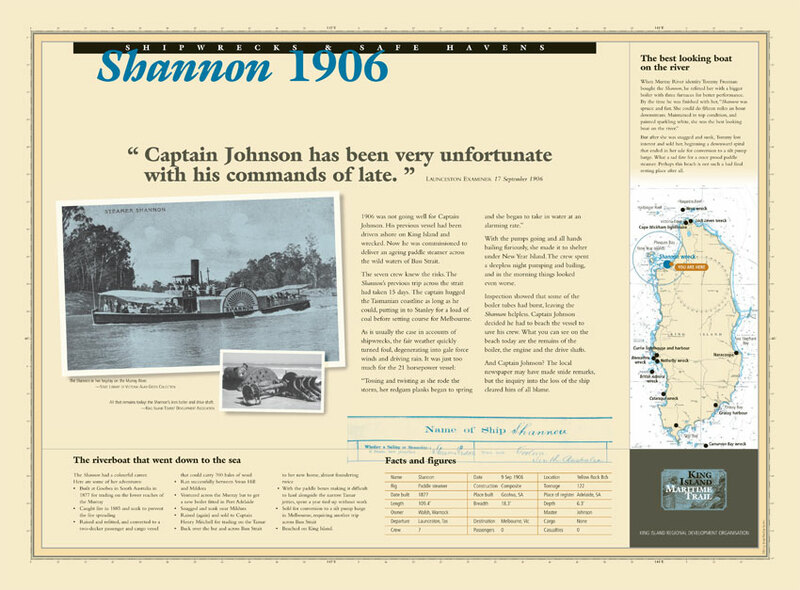 The Shannon’s previous trip across the strait had taken 15 days. The captain hugged the Tasmanian coastline as long as he could, putting in to Stanley for a load of coal before setting a course for Melbourne. With the pumps going and all hands bailing furiously, she made it to shelter under New Year Island. The crew spent a sleepless night pumping and bailing, and in the morning things looked even worse. 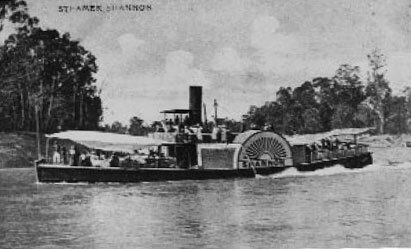 Inspection showed that some of the boiler tubes had burst, leaving the Shannon helpless. Captain Johnson decided he had to beach the vessel to save his crew. What you see on the beach are the remains of the boiler, the engine and the drive shafts. And Captain Johnson? The local newspaper may have made snide remarks, but the inquiry into the loss of the ship cleared him of all blame.